Maybe it’s your first competition and you’re nervous about messing up, or this is your first competition in a while after some time off. Don’t worry, not everything goes perfectly on the first, second or even third try, but you never know until you try. Preparation is one of the most important things when it comes to competing. When you are well prepared, things tend to run a lot more smoothly and the whole competition day can become much less stressful. I always make sure I have written down and know all of my times so I can make sure I do not miss a course walk or even my class and have enough time to warm up properly. I do not know what I would do at a competition without at least a few lists to help me stay organised. Make as many lists as you need, food lists, kit lists, tack lists, I always have a huge list of everything my horses and I need for a day at a show; you can never be too prepared. Its better to over-pack and have everything you need than panicking that you may have forgotten something. On the other hand, most horse shows have a tack shop, or one nearby so you can pop and get something if you have forgetting a very important piece of equipment. Also just remember that the people surrounding you in the lorry park are all in the same situation (although they may not have lost something important) they are usually kind and willing to help with whatever you need. So maybe you had a pole down or a refusal or things didn’t go quite as planned. Don’t get too stressed about it. There is always tomorrow, another day, another competition to go to. Everyone has off days and sometimes the odds just aren’t in our favour and we let ourselves down. But don’t let it get you down, push on and continue to reach for your goals, you never know how close you are. Stay positive and take from the experience. Nerves are a fun battle to deal with on competition day . . . not. It would certainly be a whole lot easier if we didn’t get nervous. But sadly we do, and there’s lots of different ways to deal and calm your nerves. What helps me the most is lots of deep breaths, remember horses can sense when you are nervous and may feel on edge as you are anxious. Take a deep breath and imagine cantering around the arena on your lap of honour, in the ribbons, visualise what you want and do not stress about the show ahead. Stay calm and collected and make sure you are focussed, take deep breaths when you feel yourself worrying. Imagine all the nerves leaving your body when you exhale and all the positive energy and thoughts come in as you inhale. Another way to stay calm and settle your nerves is to listen to calm music before you get on, maybe you have a favourite song that makes you feel safe and steady. Listen to it and take your mind off the nerves of the competition and focus for a few minutes. You should then feel ready to compete and show them what you’ve got! 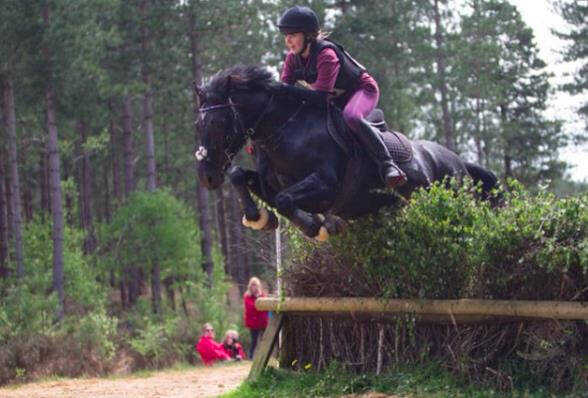 Whatever has happened at the competition, they are always a brilliant learning curve for you and your horse/pony whether you won by miles are it wasn’t such a great day, there are always pointers and tips you can take from the day. If you need write a list or go over what you think you could have improved and made better at the competition. Then you can look back over in training or for next show so that you can make sure you are extra prepared and can improve even more. Competitions are supposed to be competitive but they are also supposed to be fun. After all, if you’re not enjoying it, then what’s the point? Your happiness comes above all so make sure to not let the nerves get the better of you, just relax, enjoy the ride and give it all you’ve got! These tips are just a few things I have learnt in my competition career so far and have helped me in lots of ways, so I am now sharing them with you guys and hopefully you will also find them as helpful as I do. Whether you compete once a year or every weekend, everyone gets nervous before a show or feels down if it doesn’t go to plan, whatever level they are. Sit back, relax, trust your horse and HAVE FUN!